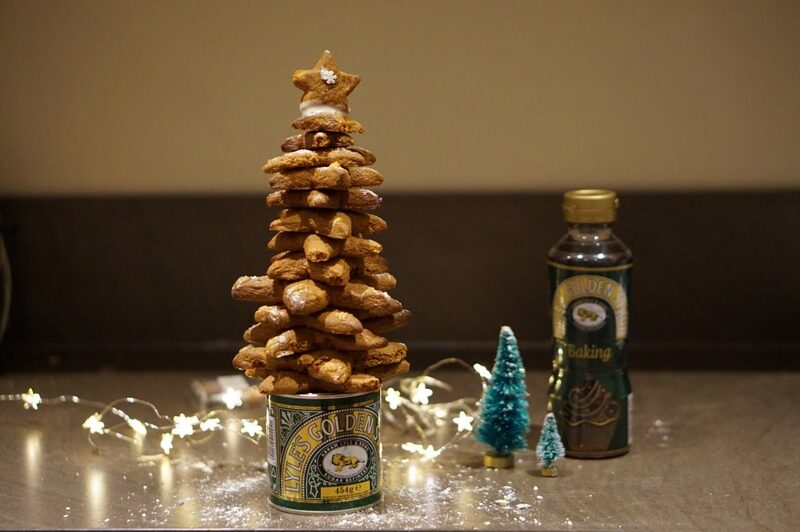 We’ve been busy getting into the festive spirit this week with lots of fun Christmas baking and crafting! 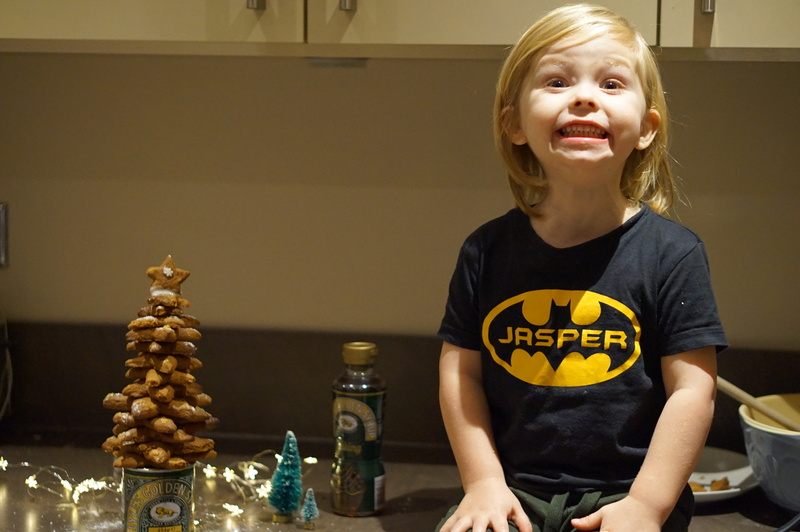 Jasper really loves getting involved in the kitchen so I’m always looking for simple and fun recipes and this Gingerbread Christmas Tree by Lyle’s Golden Syrup is just perfect. It’s easy to do and oh so delicious – yes it gets a little sticky but it’s totally worth it! 1. Add the flour, bicarbonate of soda and ginger to a mixing bowl and then rub the butter into the mixture till you get fine breadcrumbs. Then add the Light Muscovado Cane Sugar. 2. 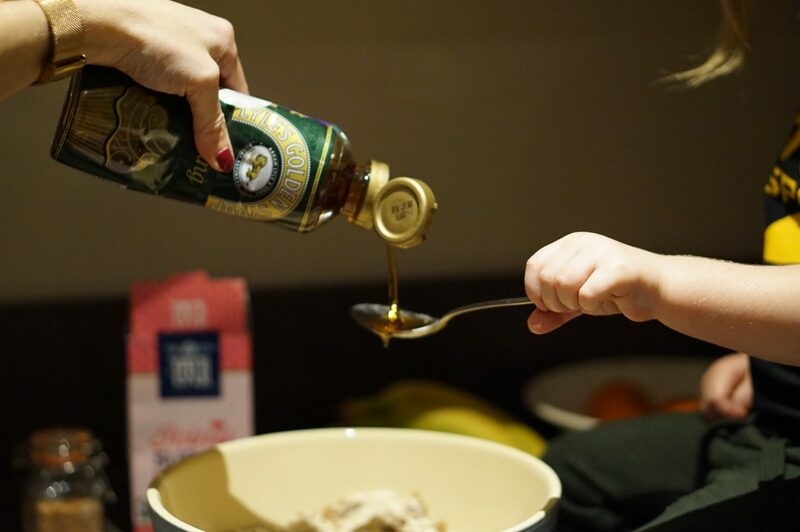 Make a well in the centre of the mixture, put in the egg and Lyle’s Golden Syrup and mix them in with a wooden spoon to make a soft, smooth dough. 3. Preheat the oven to 190°C/170°Fan, 375°F, Gas 5. While i’s heating up, knead the dough on a lightly floured surface. 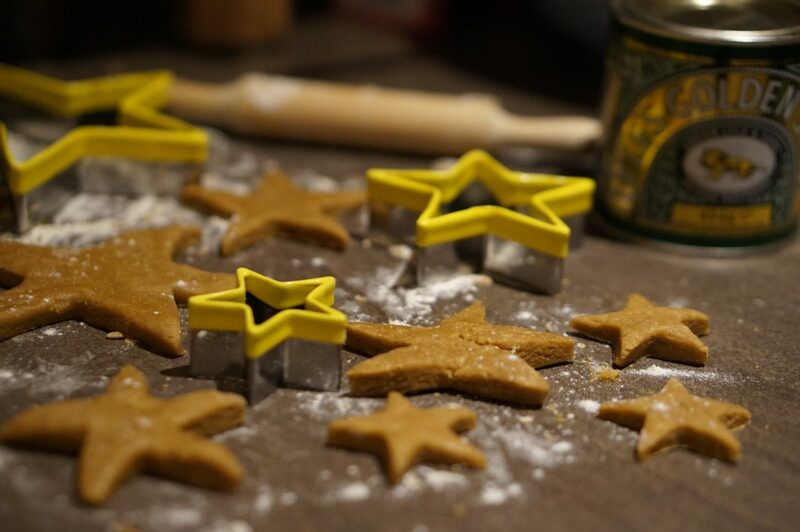 Roll it out to 5mm thickness and cut out 6 different sized stars with star cookie cutters. Re-roll the remaining dough and repeat the process until you have at least 18 stars. 4.Transfer them onto two lightly greased baking trays and put them in the oven on the top and middle shelves for 10-12 minutes, swapping trays halfway, until slightly darkened. Then leave them for a few minutes to firm up and transfer them to a wire rack. 5. Lightly whisk the egg white in a mixing bowl and slowly sift in the icing sugar. When the consistency is a bit like toothpaste your icing sugar is ready! 6. 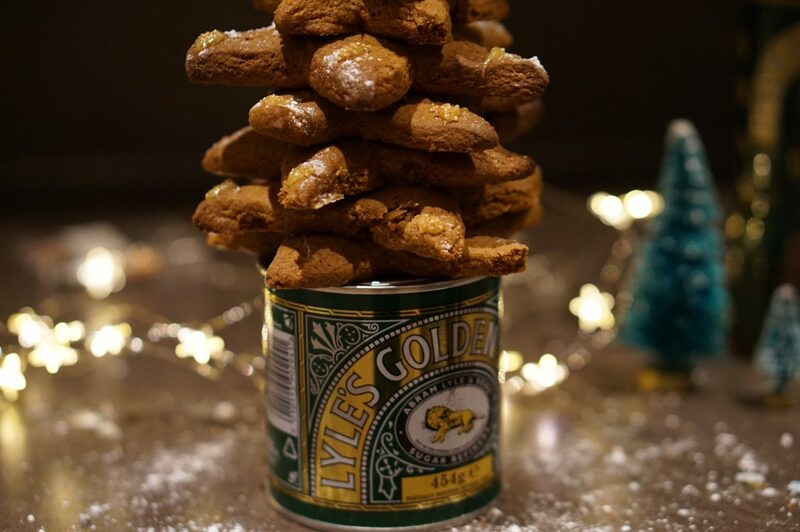 To assemble your tree, blob four small dollops of icing on the top of an empty Lyle’s Golden Syrup tin and secure a large star to it. Place a single blob of icing in the centre of the star and gently press another large star on top – with its points going in a different direction. 7. Repeat with all the stars going from large to small until you have a Christmas tree shape. 8. 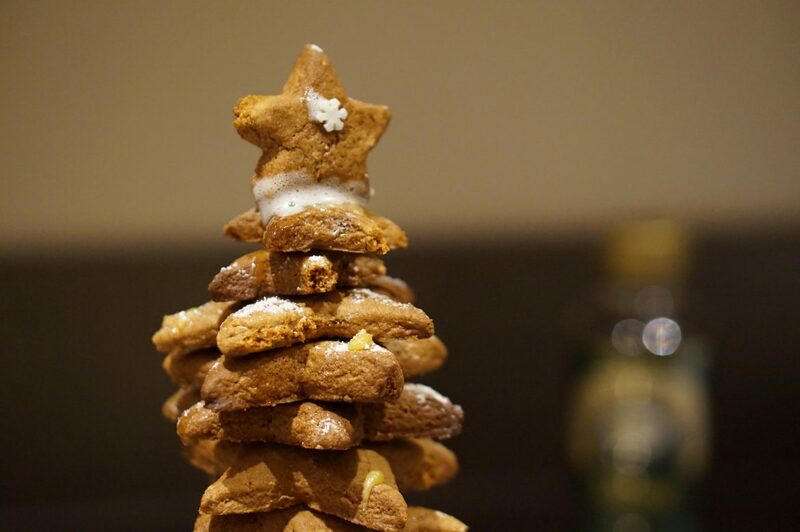 Decorate and a sprinkle icing sugar for a snowy finish. 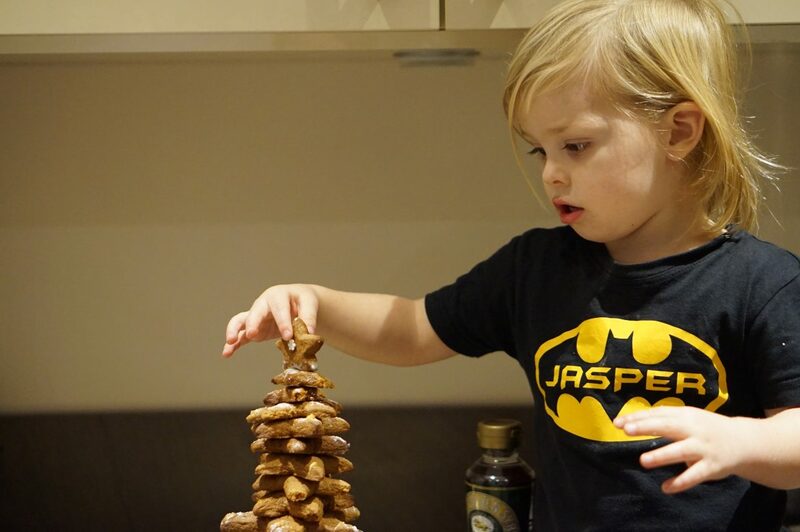 The Gingerbread Christmas Tree serves 10 but of course me, Jasper and Jenson devoured it ourselves pretty quickly saving a couple for Grandma and Granddad! 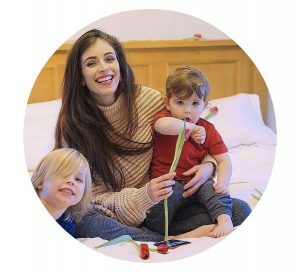 It was a great Christmas baking activity and definitely one I’d recommend trying with your little ones this festive season! 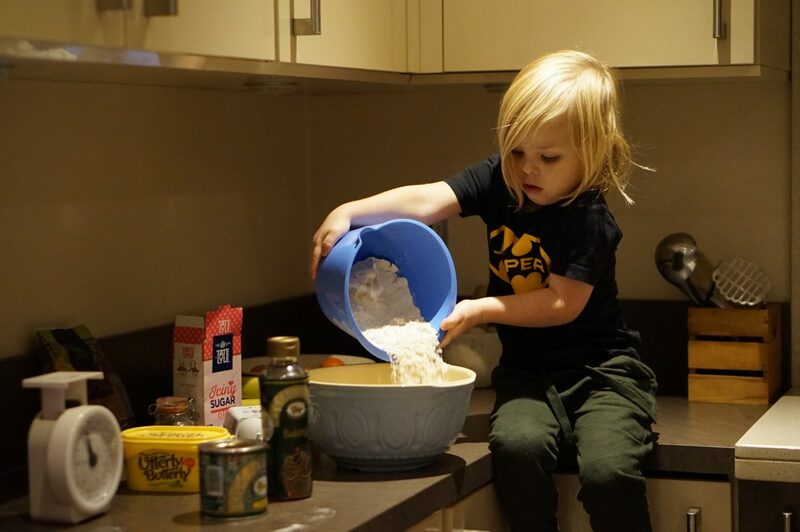 What Christmas baking have you been doing with your little ones?